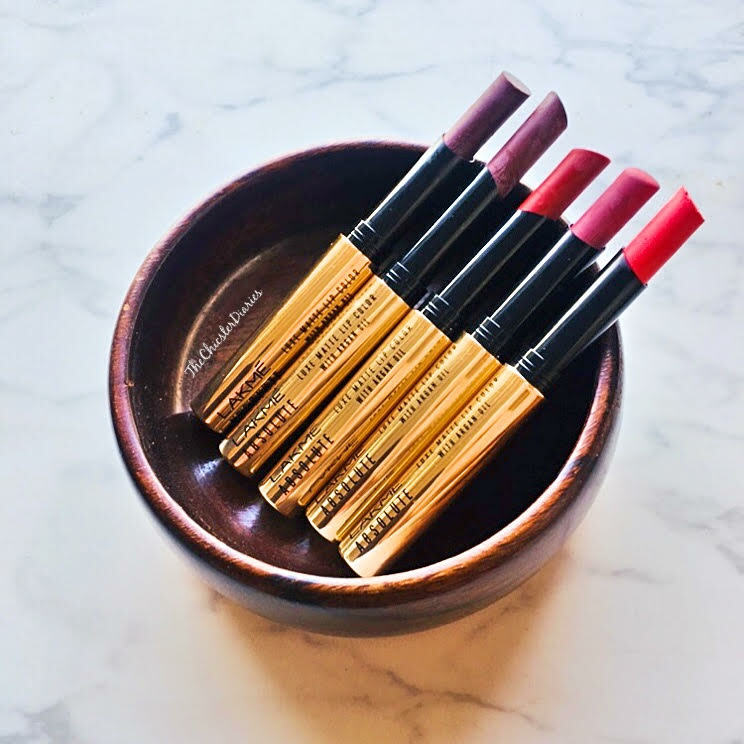 Claims: The power of Argan oil continues to enrich and nourish your lips… But this time, with a luxurious matte finish.A highly pigmented range of slim sticks, Lakmé Absolute Luxe Matte Lip Color with Argan Oil delivers a luxurious finesse to your lips. 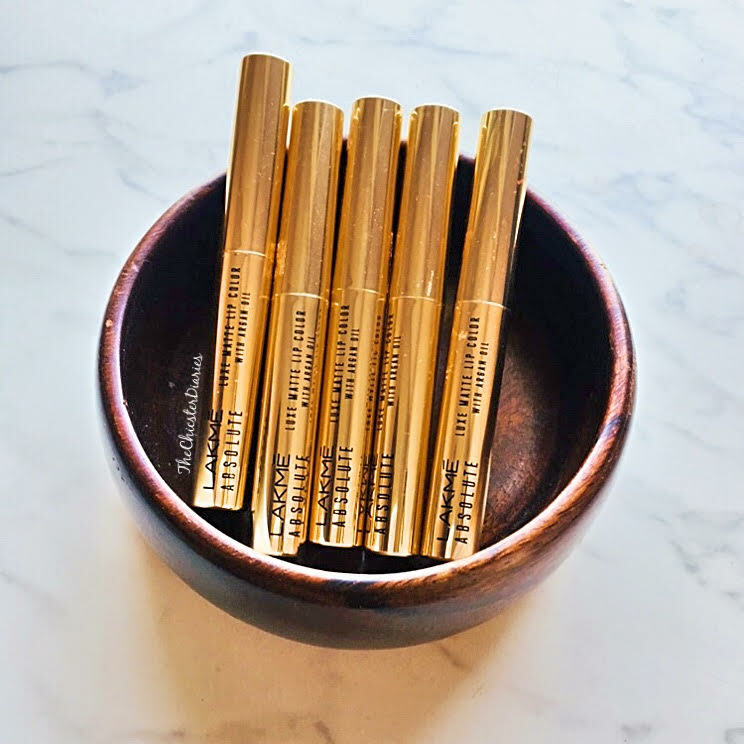 Matte finish by nature, these premium looking slimsticks are enriched with argan oil that keeps your lips nourished and healthy and are available in 15 trendy shades that flatter all Indian skin tones. 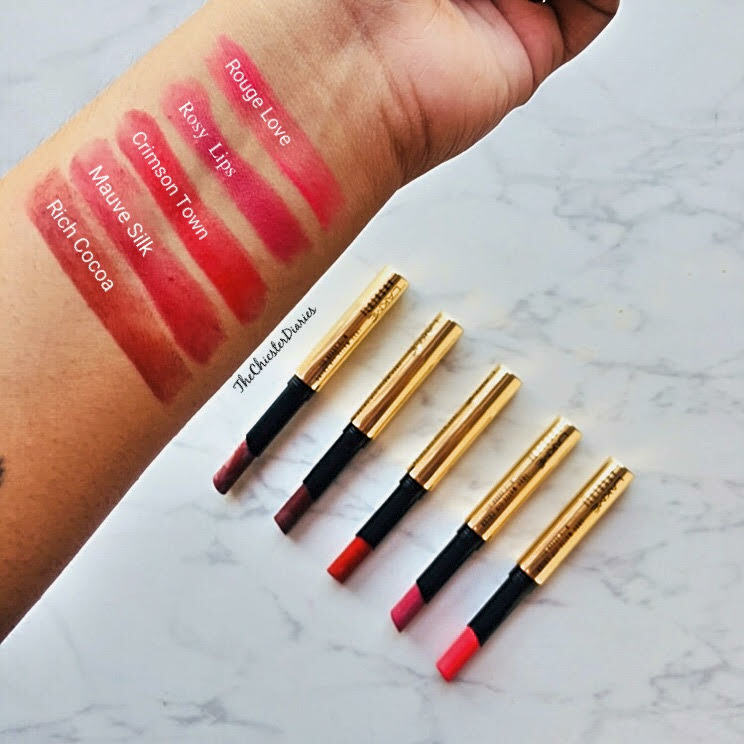 The Lakmé Luxe Matte Argan Oil Lip Color range has a lovely mix of 15 color variants to offer. This range comprises of variants that belong to the red, pink, mauve, coral and brown family. 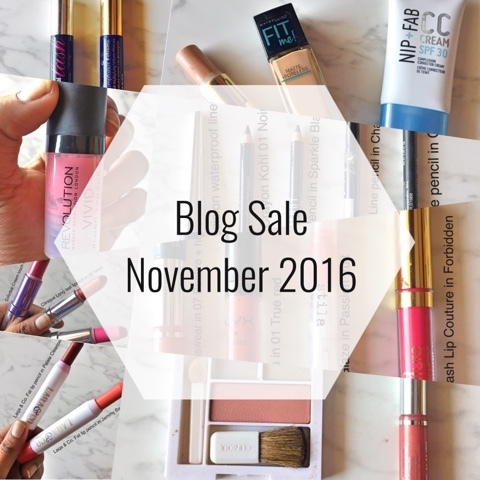 Most of the colors from this collection are perfect for autumn/winter and on a whole, this range has something for every skin tone. 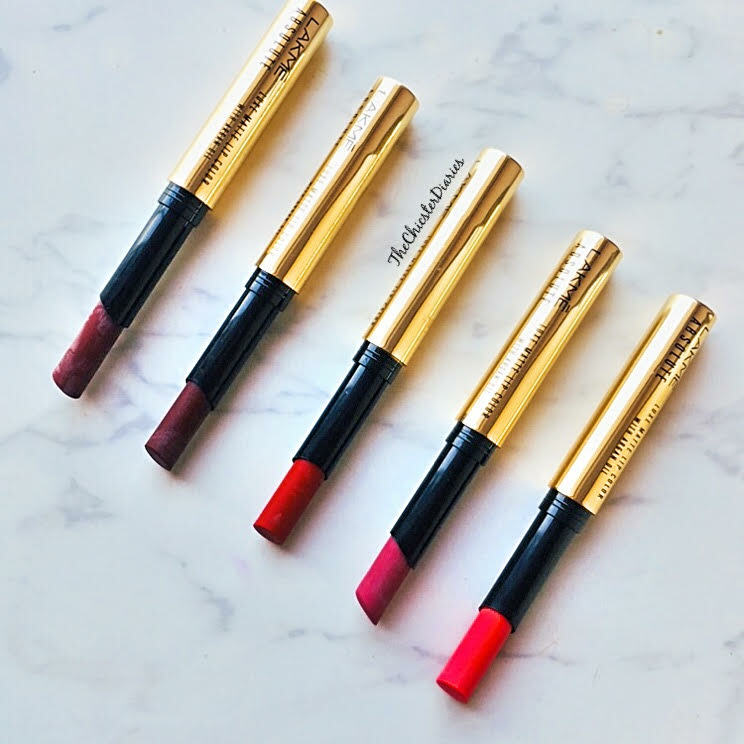 The Lakme Absolute Luxe Matte lippies are housed in classy, golden bullet packaging with a retractable mechanism. On the first application, the new lipsticks feel a bit dry however after a few swipes they are just fine. The product gives a comfortable matte finish that does not feel overly dry and is perfect to be worn in winter. As the product is enriched with the goodness of Argan oil, it does not accentuate dry patches. 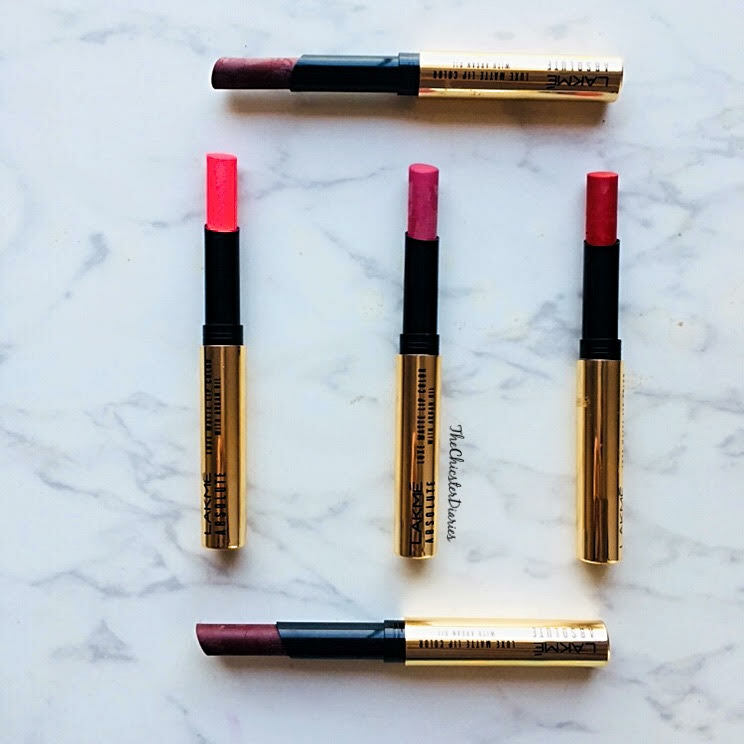 These lippies are strongly pigmented and give good coverage in a single swipe, however, most of the lighter shades may need a double application for pigmented lips. In terms of staying power, the product lasts for at least 5-6hours including light meals and coffee breaks. 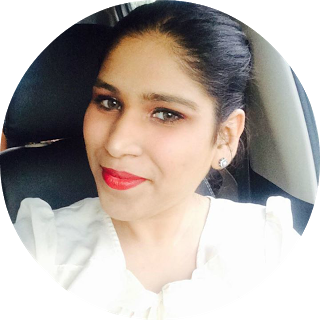 Overall Verdict: If you are a matte lippie lover like me then you absolutely need to give this product a try mainly for its comfortable wear, winter-friendly formula and also for the gorgeous range of shades it possesses. And now coming to the giveaway. The rules of the Giveaway are really simple: . To make the entry Valid. Once you are done with the entries kindly drop in your usernames below. 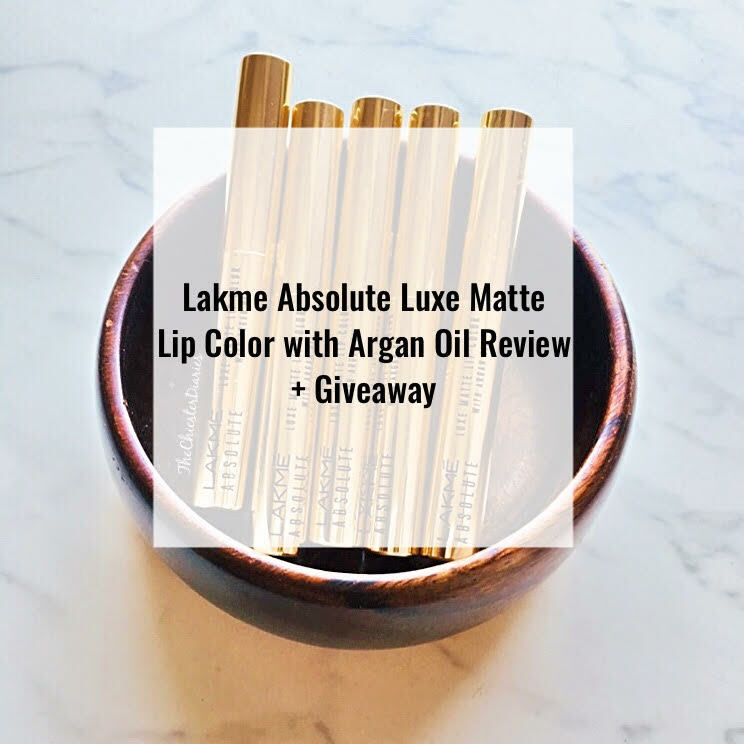 There will be 1 Lucky winner who will be getting two fabulous lippies from the Lakmé Absolute Luxe Matte Lip Color with Argan Oil Collection. Best of Luck and Thank You for participating.